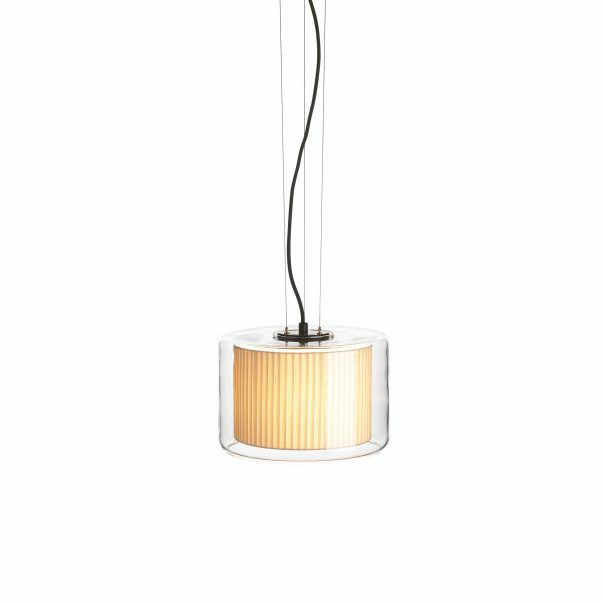 Mercer is a beautiful and elegant lamp. 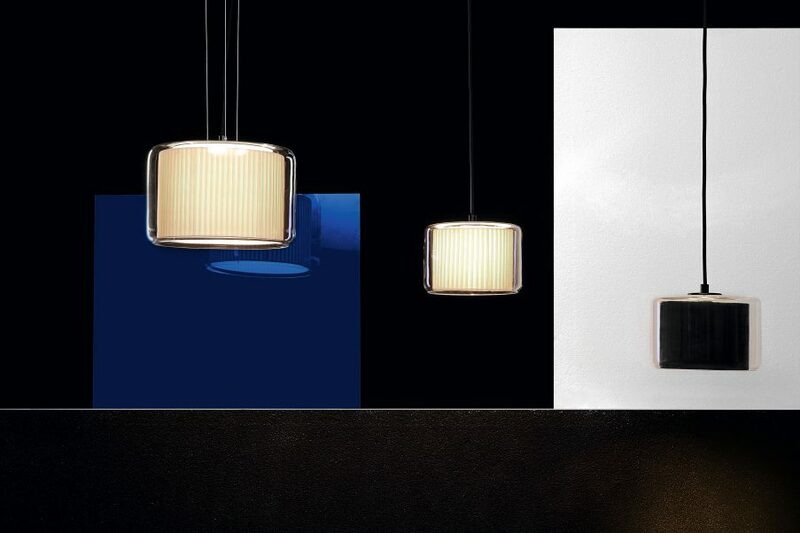 The fusion of different materials achieves a spectacular result due to its pure textile shade floating in a transparent blown glass structure. The inner diffuser is available in natural cotton ribbons and in a more modern and minimalistic version, in pearl white.